We connect every site we build with both Google Analytics and Google Webmaster Tools. These allow us to monitor the traffic to your site as well as the relative health of your site to see how many people are visiting and what they are looking at when they arrive. As an advanced technology, Google Analytics can help us measure how your company’s online marketing and presence is working. It gathers vast amounts of data and can serve as an EKG for your website. You can get right to the core of what’s successful and what isn’t. Google Analytics offers a variety of information to help Open Interactive understand the performance issues of your website and to know what to do next. With this information and the more technical capabilities available, the technical team at Open Interactive can analyze the data from Google Analytics to help optimize your website. 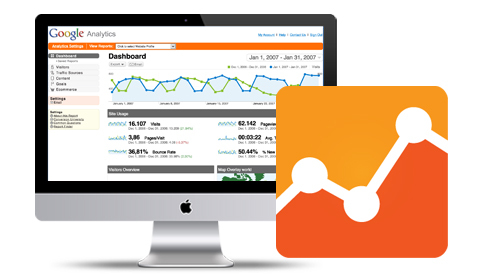 If you are not already using Google Analytics, you need to start today.